For its back-to-school campaign "New School of Thought," Adidas Originals went all hipster and whatnot. The company partnered with trueAnthem to create a widget that gives away free music by Ultraviolet Sound and 30 percent discounts on Adidas Originals gear. 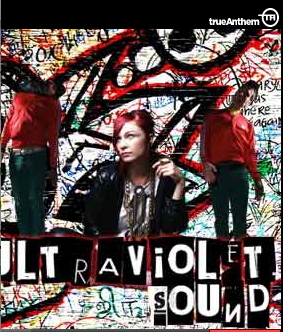 The widget also includes short Adidas audio ads mixed by the band. The street-sassy shoe brand joins Converse, Gap, Cartier and even Vanity Fair in disseminating free MP3s to the masses. Why this might be smart marketing: if iTunes listeners switch Coverflow on, listening to your track will expose them to your marketing message, along with the album art. And if the campaign music's been uploaded onto last.fm, then last.fm users expose their friends to your brand when they listen to your track. So go stimulate those white earbuds, you go-getters, you. With top ten lists for everything imaginable, everyone has been trained to basically ignore anything that isn't in the top ten. 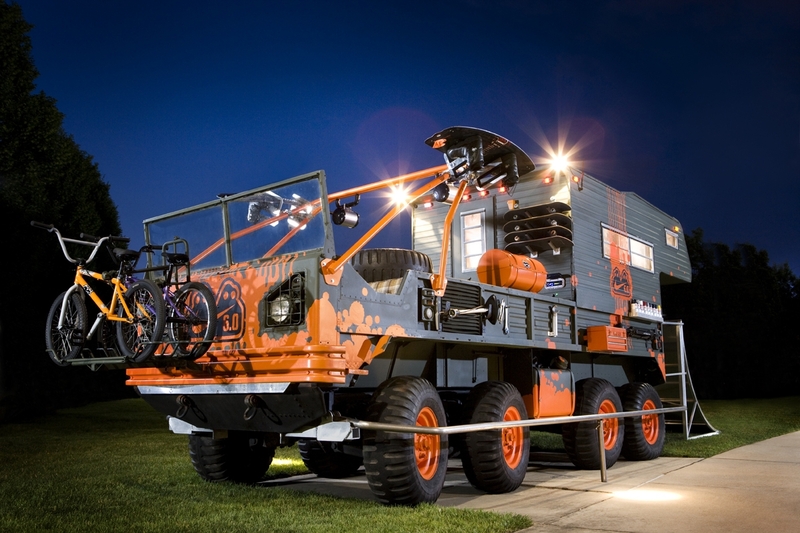 So what's a city like Columbus (OK, they do have the second largest college population) to do when it comes to creating a tourism campiagn that will announce to the rest of the country that the place actually exists and that it has a lot to offer? Highlight what's not in Columbus, of course. Ad blogger Leigh Householder, along with 60 other bloggers, was invited to an Experience Columbus-hosted event to unveil the new tourism campaign which carries the tagline, Not in Columbus. One element off the campiagn is a t-shirt which, on one side, has a picture of an crossed out Eiffel Tower and "But I Did Everything Else" on the other. 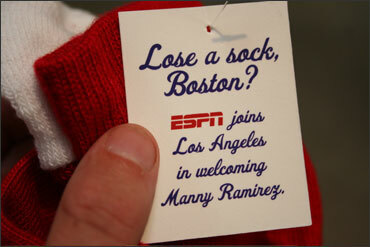 Acting quickly following the trade of the Red Sox' Manny Ramirez to the Los Angeles Ddgers, last Thursday, ESPN agency Ground Zero, by noon Friday, had plastered laundromats around LA county with lost socks affixed to a tag which read, "Lose a sock, Boston? ESPN joins Los Angeles in welcoming Manny Ramirez." Quick thinking and wit works just about every time. Nice work. With the command and elegance he displays on the basketball court, Lebron James, in this Vitaminwater commercial, displays his skill on another court, outing one of the many idiots who try to nefariously leverage the legal system for their own financial gain. All in one commercial, the seemingly transformational energy of Vitaminwater is lauded, a basketball star gets to strut his stuff and a low life scum is trashed. What's not to love? The spot, created in July by Berlin Cameron was mixed by Sound Lounge.